Posted on December 11, 2018 by treelawyer	tagged. In the world of tree encroachment, regular readers of this site know that there is a continuum of liability extending from the Berkshire Mountains of Massachusetts all the way to Mauna Kea on the Big Island of Hawaii. We all know about the Massachusetts Rule, which holds that a landowner has no liability whatsoever for encroachments of the branches or roots of his or her tree over, on or under neighboring land. Your neighbor doesn’t like it? That’s why Poulan sells chainsaws. On the other end is the Hawaii Rule, where with the privilege of tree ownership comes great responsibility. If you own a tree that causes sensible harm to your neighbor’s property and you know or should know that, you are liable for harm that it causes. In today’s case, there is no doubt that Ken and Jeannine Carvalho suffered harm from roots belonging to Larry and Judy Wolfe’s trees. When the foundation damage was discovered, the Carvalhos reported to the Wolfes, who cut the trees down. But that was not good enough. I suspect the Carvalhos hoped to nick the Wolfes’ homeowners’ insurance. It seems a shame that their lawyer’s pleading skills were not equal to the aggressiveness of the Carvalhos’ avarice. Or maybe they demanded that counsel bring the suit, and he or she was honest in not claiming the Wolfes knew or intended the roots grow into the Carvalho’s foundation when neither evidence no common sense suggested they did. Still, the case gave Oregon to stake out a position on the continuum that certainly was not the Massachusetts Rule but wasn’t the Hawaii Rule, either. 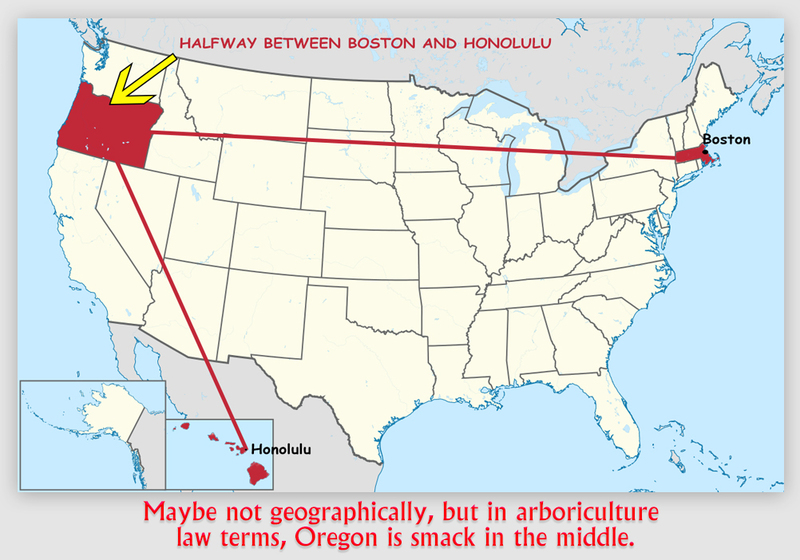 Instead, the Oregon Rule – such as it is – comes out something like halfway between. Carvalho v. Wolfe, 207 Ore. App. 175, 140 P.3d 1161 (Ct.App. Oregon 2006). The former owners of Larry and Judy Wolfe’s property planted trees along the property line. Once the property became theirs, the Wolfes became responsible for the ongoing care, maintenance, and control of those trees. In 2004, Ken and Jeannine Carvalho discovered that trees’ roots had grown to all the way to the foundation of their home, causing structural damage that then amounted to over $61,000 and that was increasing. After the Carvalhos discovered the damage, the Wolfes cut down the trees but did nothing to be sure then roots had stopped growing. The Carvalhos sued the Wolfes for trespass and nuisance. In their trespass claim, Ken and Jeannine alleged that they had legal possession of their property and that they did not authorize the entry “of any trees, roots, or vegetation of any kind onto their land from defendants’ land.” In their nuisance claim, the Carvalhos said the roots “have severely and unreasonably invaded plaintiffs’ land” and that the invasion had interfered with their “ability to use and enjoy their land” as a result of the damage to their house. The Carvalhos did not allege in either claim that he Wolfes acted with any specific level of culpability or that they were engaged in an ultrahazardous activity. The Wolfes moved to dismiss both claims for failure to state a claim for relief. They asserted that the Carvalhos’ claim was fatally defective in several respects, including by failing to allege the Wolfes had been negligent or had engaged in an ultrahazardous activity by allowing the roots to encroach on the Carvalho property. The Wolfes also argued that the encroaching tree roots did not constitute a nuisance, because a landowner is limited by law to using self-help remedies for such an encroachment, not seek relief in the courts. The trial court agreed, granted the Wolfe’s motion and entered a judgment dismissing the action. The Carvalhos appealed denial of the trespass and nuisance claims. Held: The Carvalho claims were properly dismissed. Each of those the Carvalhos’ theories of liability – trespass and nuisance – involved a different kind of interference with their interest in their land. An actionable invasion of a possessor’s interest in the exclusive possession of land is a trespass; an actionable invasion of a possessor’s interest in the use and enjoyment of his land is a nuisance. Courts in some places have concluded that tree roots or branches that intrude into or over neighboring lands may be either a trespass or a nuisance; others have rejected liability under either theory. The Court of Appeals reviewed the two cases of the extreme ends of the tree encroachment continuum. In Michalson v. Nutting, the Massachusetts court held that there was no distinction between an intrusion by overhanging branches and one by invading roots. In either case, an owner has the right to grow trees on its land, which naturally leads to branches and roots crossing the boundary line. 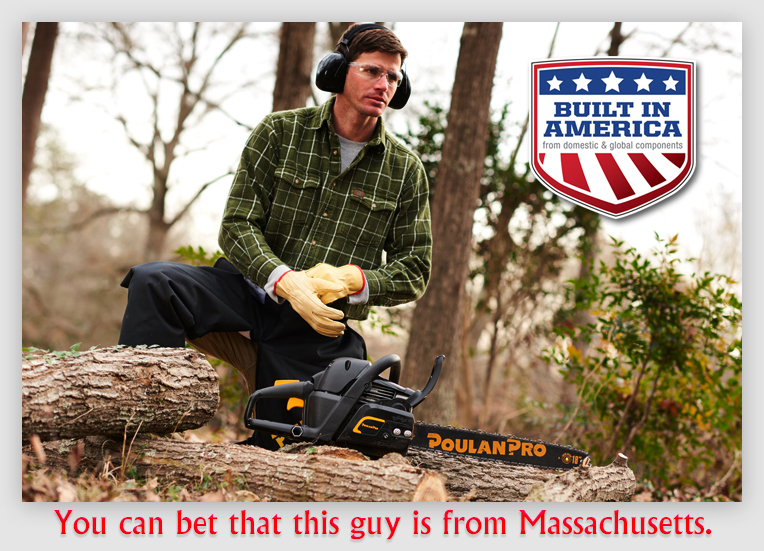 When that happens, the owner of the other land is limited to cutting the branches and roots where they intrude, a holding now known as the Massachusetts Rule. On the other end was of the continuum was Whitesell v. Houlton, in which a banyan tree’s branches overhung the plaintiffs’ property, damaged their garage and threatened additional damage until the plaintiffs had them cut back. The Hawaii court held that the Massachusetts Rule was unfair. “Because the owner of the tree’s trunk is the owner of the tree, we think he bears some responsibility for the rest of the tree,” the Court ruled. Thus, Hawaii provides that, if the owner of a tree knows or should know that it constitutes a danger, the owner is liable for harm that it causes on or off the property. In that case, the damaged or imminently endangered neighbor may require the tree’s owner to pay for the damages and to cut back the endangering branches or roots. Splitting the difference was Abbinett v. Fox, the New Mexico case in which roots from the defendants’ cottonwood tree damaged structures on the plaintiffs’ property. The New Mexico Court of Appeals discussed Michalson and Whitesell, ultimately holding that, although landowners may use their property in ways that maximize their own enjoyment, they may not unreasonably interfere with the rights of adjoining landowners or create a private nuisance. Here, the Court noted that intrusions were different in each of the cases that we have discussed. 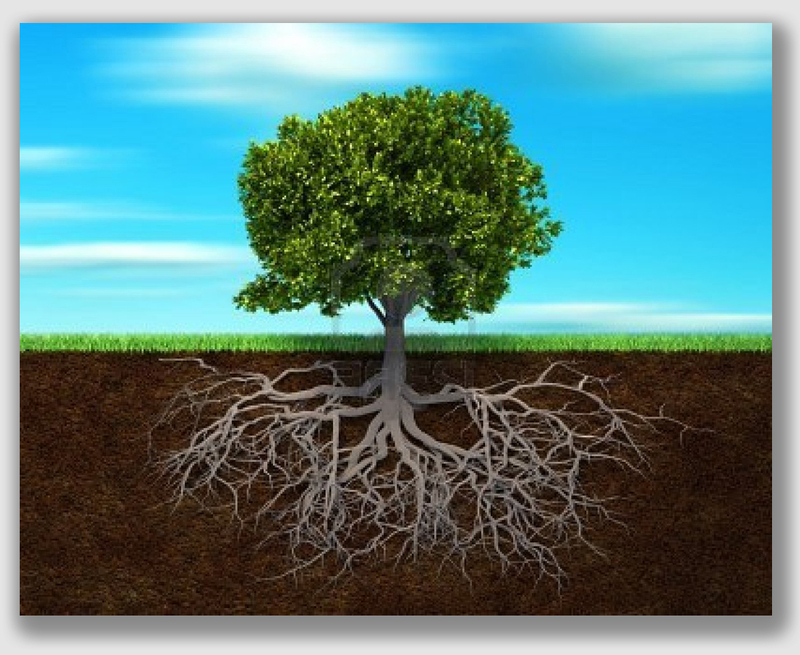 In Michalson, the defendants simply planted the tree and refused to remove the roots; there is no suggestion that they intentionally or negligently caused harm to the plaintiffs. In Whitesell, however, the defendants knew or should have known that their tree would cause damage to the plaintiffs’ property, which in Oregon would support a finding that they intended to cause that harm. Here, the Carvalhos did not allege that the Wolfes acted with any level of fault or that they were engaged in an ultrahazardous activity. Rather, they simply sought to hold Larry and Judy strictly liable for the damage that the trees caused. However, the Court ruled, “neither trespass nor nuisance provides for strict liability except for an ultrahazardous activity. While the Wolfes might be liable for intentional trespass or nuisance if they knew or should have known that their caring for the trees would result in the tree roots damaging the Carvalhos’ house, the Carvalhos did not allege that the Wolfes had or should have had that knowledge. While they do allege that the Wolfes have not taken any action to ensure that the trees have been killed and the growth of their roots permanently stopped, Ken and Jeannine seemed to be careful to not allege either that the growth is continuing or that defendants knew or should have known that it is continuing. By failing to allege that the Wolfes acted or failed to act with any form of culpability, and to allege that they engaged in conduct that could make them strictly liable for trespass or nuisance, the Carvalhos failed to state a claim for relief under either nuisance or trespass.